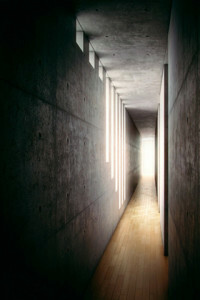 Tadao Ando is a renowned Japanese architect, born 1941 in Osaka. Ando's architectural style, strongly influenced by Japanese aesthetics, emphasizes the beauty of emptiness and simplicity of space. 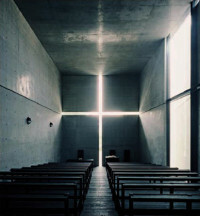 He has designed many notable landmarks in the world, including Row House in Sumiyoshi, Osaka (1976), Church of Light, Osaka (1989), Pulitzer Foundation for the Arts, St. Louis (2001), Armani Teatro, Milan (2001). He received Gold Medal of Architecture, Academie d'Architecture in 1989, The Pritzker Architecture Prize in 1995, Gold Medal of the American Institute of Architects in 2002, among other awards. He was also a visiting professor at Yale, Columbia, UC Berkeley, and Harvard University.